The highly technical nature of our work, and the nature of the places we work, means that our management systems are of critical importance. We use a system designed in-house, but which complies with ISO standards, to manage our Health, Safety, Environment and Quality (HSEQ). 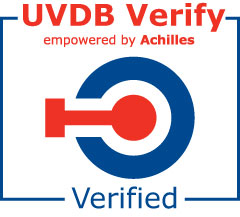 SCL uses Achilles to deliver Verify Audit services annually, using their Verify B1 audit. This service is used by all the major utilities in the UK to assess suitability for ‘high risk’ site-based work. We have been audited each year for the past 3 years, achieving increased scores each time across all aspects of the assessment. Our scores presently compare with almost any large company in the UK. We take extra special care with our Health and Safety systems, and so also use Peninsula Business Services to help manage our H&S – they also audit us annually for compliance. We supply all our field staff with a wide range of PPE, field equipment and training; staff are also able to make use our fleet of 4×4’s, specially kitted out, to access sites safely throughout the working year. All field staff are fully-trained 1st aiders (HSE First Aid at Work). We run our HSEQ system via a series of checklists, which we use each time we start a new project or visit a site after a break from project work. The checklist system means that we can deliver a consistent service every time. Our offices are subject to a rigorous system of data back up. Data are stored in fireproof safes until they are backed up, which involves a series of multiple on-site and off-site protocols being implemented. Financial management and legal services are provided by Jeffrey Crawford & Co and by Morisons LLP respectively. Insurance brokerage services are provided by Bluefin, and IT consultancy / cover by Broxden of Perth.